Okay, let’s play “project catch-up”! Whew — would you believe this is the first chance I’ve had to sit down all day?! Okay, well, I did try to sit down two other times to write here — but then it was off here, and off there! Okay, so let me recap what I’ve been up to craftwise the last few days! First, the Watercolor Afghan made a little less progress than I’d hoped over the weekend, but Hannah and I are still nipping away at it bit by bit! As you can see (hers is on the left), she’s still beating me! Crochet-lightning, that’s Hannah! Stay tuned for more on that — they’ll be revealed over the next several weeks! 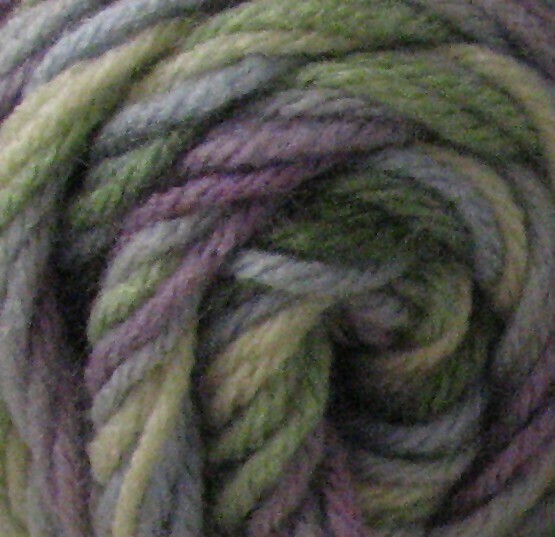 And finally, the really fun stuff — more hand-dyed yarn! Yes, this is the best picture that I can give you for now! 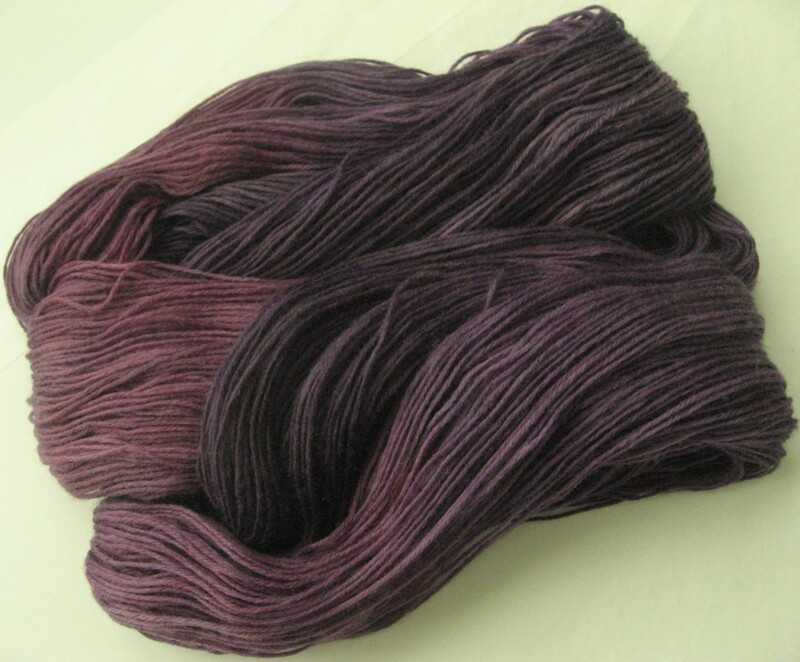 Did you know that a watched skein of wool yarn simply does not dry?!! I should have it listed in my shop sometime tomorrow! And now, I’m waiting for a few shipments of bare yarn for dyeing — I’ll have to wait to list more yarn in my shop until the beginning of September, but I’m planning to expand my inventory of yarn to include a wide variety of semi-solid skeins! Well, we’ve made good progress this week, and we’re up to three mile-a-minute strips attached together! We challenged ourselves yesterday afternoon as we set out to make significant progress on this by racing each other — which is tough for me because Hannah is a FAST crocheter! We basically came out to a tie! 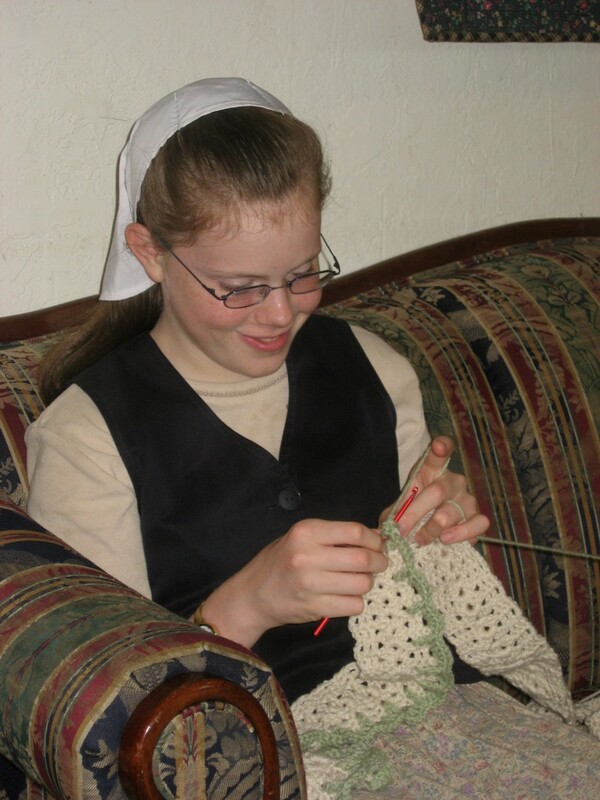 Hannah is our only left-hander in the family — as you notice, she is crocheting right-handed. So for her to be so fast is amazing to me! I taught her to crochet when she was about 7-8 yrs old. I made up my mind to start her out right-handed (patterns seem to be mostly written for a right-handed world), but made sure she understood that if it just didn’t feel comfortable, we’d try it the other way. Well, she took to it very quickly, and to watch her work, you’d never know she’s left-handed! I’m very proud of her — she has always taken to fiber crafts quickly, and has already tried several different things: crochet, knitting, cross stitch, and sewing. We even bought her a sewing machine for her a year and a half ago, and she is already sewing her own dresses! I’m grateful to have a crafting buddy in the midst of a household of boys! We’ll check back with you on the watercolor afghan next Monday — I hope to be well over half way by then! My daughter and I are working on a special afghan project together (a gift that I can share more about after it’s been gifted). 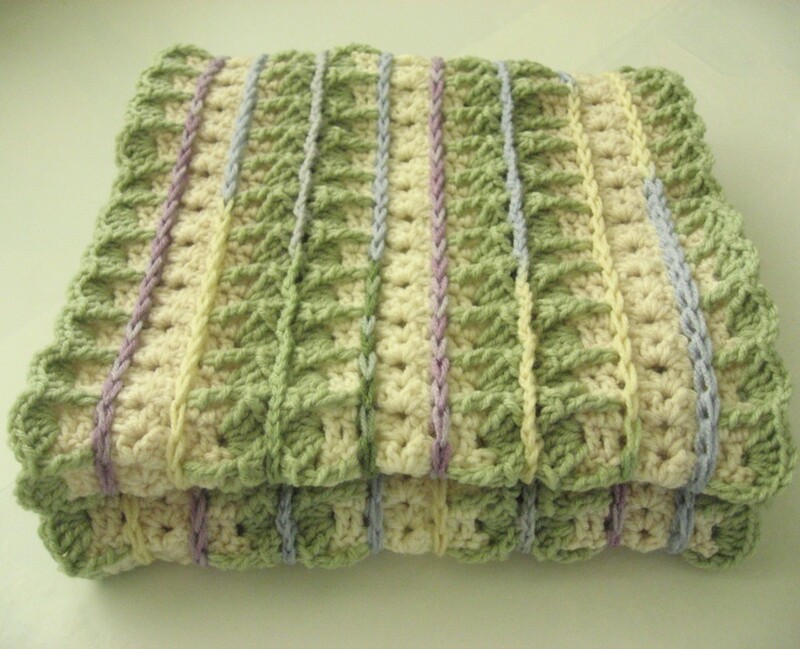 We both love to crochet, so I thought we could make this afghan together! The pattern is called “English Garden”, found here on Ravelry, from the book Afghans for All Seasons, found here on Ravelry. It is a mile-a-minute afghan, so it’s easy for each of us to work on it at the same time if necessary! I’m using Red Heart — Red Heart, you ask — why Red Heart after all of those lovely wool hand-dyed sock yarns?! Well, the answer is simple — I have a need, and the Red Heart yarn has a need! 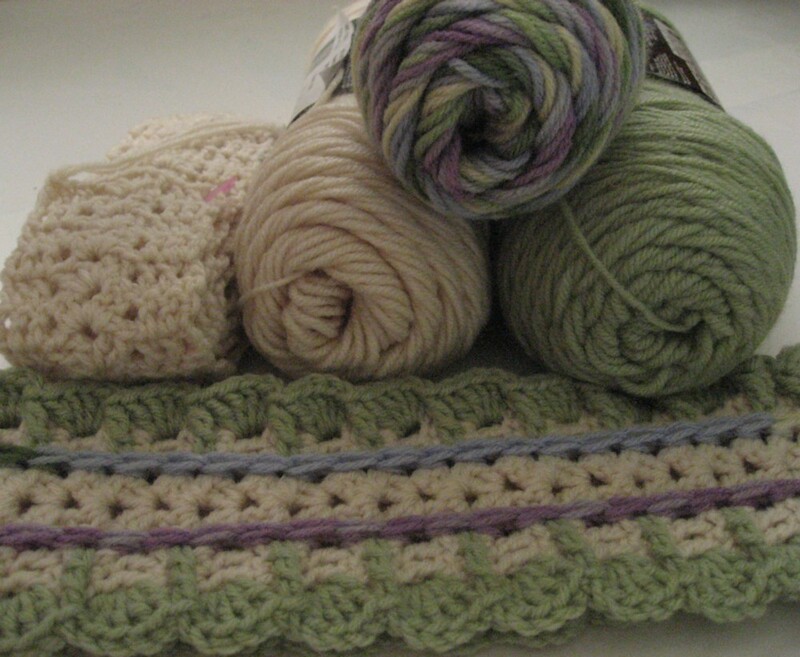 the yarn’s need — to be made into an afghan to show love to someone special! my need — I really need to use up my Red Heart stash! 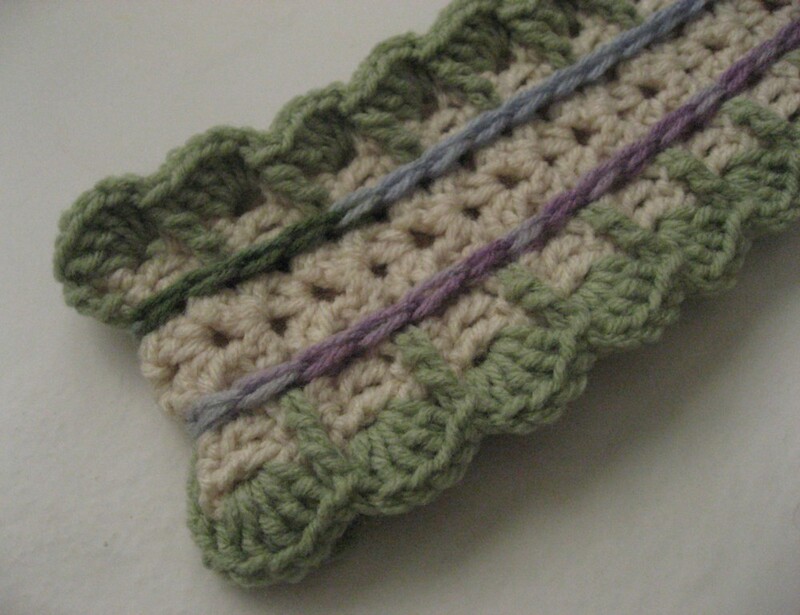 I’ve chosen Aran, Frosty Green, and Watercolor — I really like this variegated yarn! 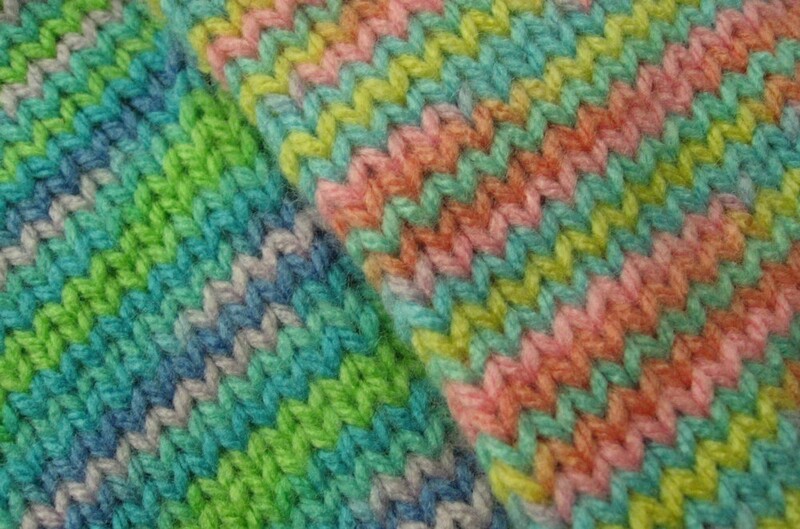 I like variegated yarns, but I’m kinda picky about how I use them. 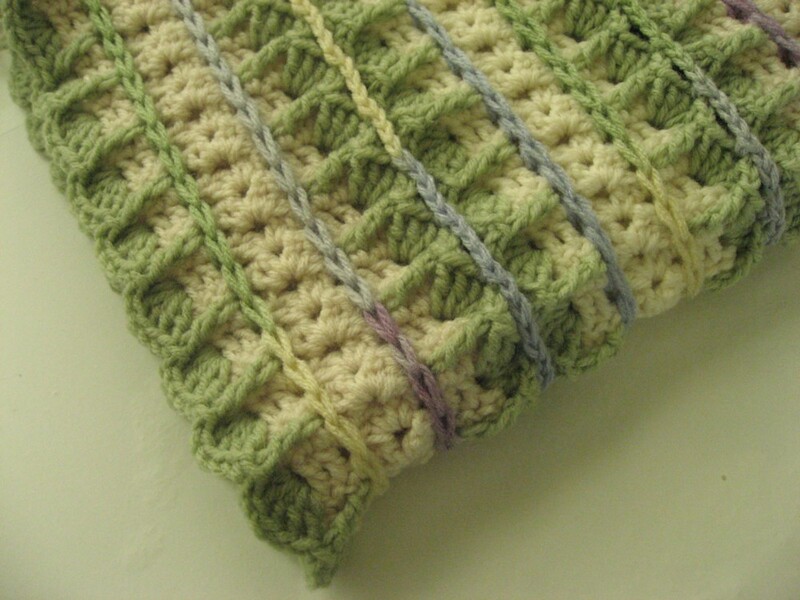 I don’t really care for an “all-over” variegated look — for me it hides the stitch pattern too much. But when it’s either contained or outlined — or as in this pattern, used as an accent, then it’s okay! 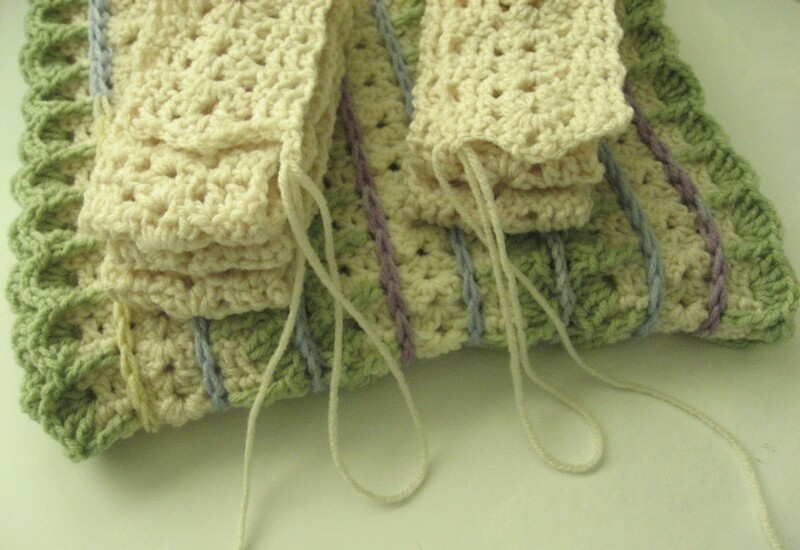 As usual, when Hannah and I work on a crochet project together, I need to increase by a hook size or two — I crochet fairly tight [ I like to think of it as “tight and tidy” =) ], so we will come up with different sized strips if we’re not careful! We’re hoping to have this completed by the middle to end of September. If we each complete one strip a week, that should help meet our goal!